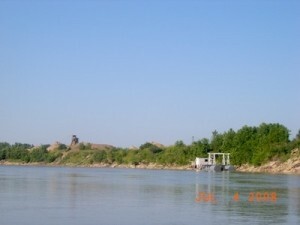 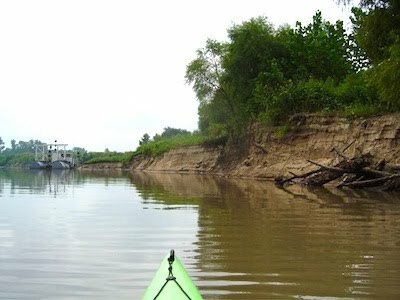 In the fall of 2009 Friends of the Kaw was alerted by a member that Master’s Dredging Company had moved their dredge down river in the channel south of the island. 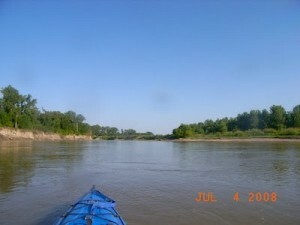 A beautiful sandbar that we had camped on was gone. Pictured below on the left is a picture taken of this area in 2008 and on the right is a picture of the dredge and a cut bank. 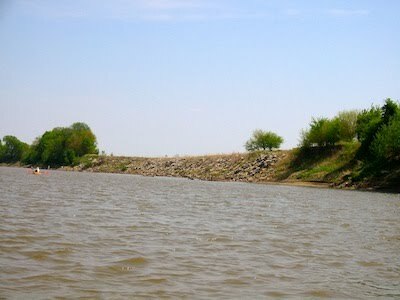 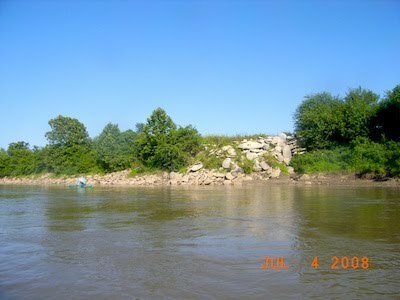 Friends of the Kaw reported this situation to the Corps of Engineers.